All horticultural industry sectors contribute to the funding of the across industry program through R&D levy and R&D Voluntary contributions (VC) which are matched by the Australian Government. In addition to the collaborative project investment undertaken through multi industry funded projects, R&D project investment made through this program focuses on providing outputs that are widely beneficial across the breadth of horticulture. The Across Industry Committee provides program investment advice to HAL on behalf of all member industries. • Enhance the efficiency, transparency, responsiveness and integrity of the supply chain for the total industry to provide clear market signals. • Maximise the health benefits of horticulture products in the eyes of consumers, influencers and Government. • Position horticulture to compete in a globalised environment. • Achieve long term viability and sustainability for Australian horticulture. 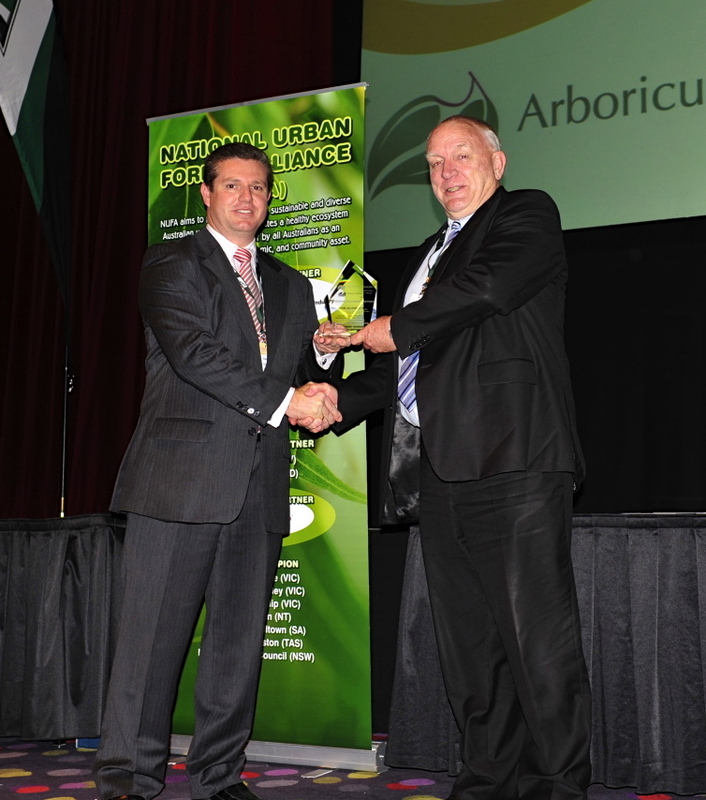 Nursery & Garden Industry Australia (NGIA) has become a Platinum Partner of the National Urban Forest Alliance, which has been formed to promote the growth and recognition of the urban forests in Australian cities and regional centres. The CEO for NGIA, Mr Robert Prince says the industry supported the formation of the Alliance, which brings together stakeholders with an interest in urban forest policy, planning, measurement and promotion. “It is encouraging that key local governments have recognised the importance and the value of the urban forest and have joined the Alliance, but there is still much to do to get widespread recognition throughout the community and among other stakeholders,” Mr Prince said. At present the National Urban Forest Alliance has 12 major stakeholders including the city councils of Melbourne, Sydney, Brisbane, and Darwin as well as the Australian Landscape Industry and Arboriculture Australia. ENSPEC Pty Ltd is the other Platinum Partner, and an increasing number of other likeminded organisations, councils and professional associations are expected to join the Alliance before the end of 2012. Mr Prince said that the NGIA had joined as a Platinum Partner as there was much that the industry needed to do to address the issues and build demand for greenlife in urban environments. NGIA’s theme for 2012 is ‘More Trees Please’ as part of its strategy to advise the community to Improve Your Plant/Life Balance, both of which focus on improving the health of people through growing the urban forest and other initiatives. “We look forward to working more closely with Alliance members to build awareness of the importance of the urban forest to our health and wellbeing,” Mr Prince added. The Alliance is Chaired by Craig Hallam from ENSPEC Pty Ltd and Anthony Kachenko from NGIA is Vice Chair. Contact Anthony Kachenko on anthony.kachenko@ngia.com.au or 02 8861 5100 for further information on the Alliance. New nursery industry market research project offers a free report on your business performance. Momentum is building behind the new nursery industry market research project. The success of this project is paramount to ensuring the successful implementation of industry strategic planning. This ambitious project seeks the support of all industry greenlife producers, allied traders and growing media suppliers in the collection of monthly industry statistics. With input into the project extending to producers and suppliers to primary industry, forestry and more, this project is the largest of its kind seen by the nursery industry. “As Chairman of the IAC, I see this research as the most important levy project we have. The information collected will inform future levy project planning and enable us to accurately measure industry size and growth,” said David Matthews, Chairman of the Industry Advisory Committee, at a recent meeting in Victoria. “Participating businesses will have access to current industry data compared with their own, vital for effective strategic business development” he continued. Nursery & Garden Industry Australia (NGIA) in conjunction with Informark (an independent market statistics company) have embarked on a journey to collect accurate industry market statistics. Accurate industry data will strengthen the Industry’s position among legislative sectors including education and training, environment, finance and more. It will be used for strategic planning of industry activities and to support our communications to key stakeholders. The Young Leader Award seeks to identify, recognise and reward the outstanding achievements of individuals in the Nursery & Garden Industry, who display exceptional commitment and passion towards their business, the industry and leadership potential for association and industry schemes.